Did Siggy and Dolores go too far? 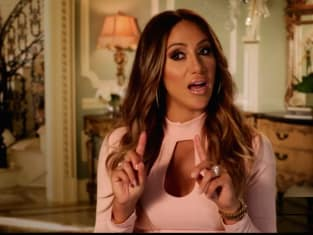 That was revealed on The Real Housewives of New Jersey Season 8 Episode 2 in the aftermath of Melissa and Teresa throwing the birthday cake around in the restaurant. Meanwhile, Margaret continued to immerse herself in the group, but Siggy realized she was nothing more than an opportunist and called her out. Also, Dolores worried about having her husband under the same roof as her once again.